By GreenEyedLillies on December 6th, 2008 . Filed under: Accessories, Clothing . I love love love love LOVE this tote! New from Loyal Army! 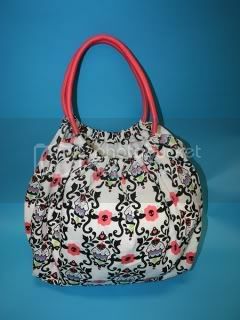 It’s the Killer Cupcake carryall, a large sac-bag with round cord handles great for haulin’ all your goodies and supplies! This cute cupcake tee is also available at Blender.